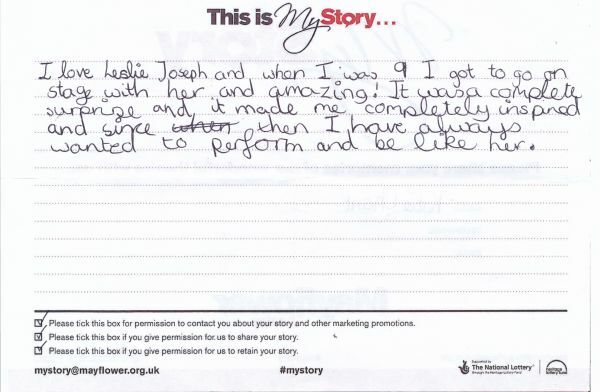 My Story card: Katie Chant remembers Leslie Joseph at the pantomime. I love Leslie Joseph and when I was 9 I got to go on stage with her and [it was] amazing! It was a complete surprise and it made me completely inspired and since then I have always wanted to perform and be like her.